Is ObjectRocket Redis highly available? What plans and sizes do you offer? Can I use a single Redis instance for multiple purposes? Will you help migrate my data? What software is being used? What does the system architecture look like? What version of Redis is supported? Do you support Redis Cluster? Do you offer SSL with Redis? How much does ObjectRocket for Redis cost per month? How do I connect to my Redis instance? ObjectRocket Redis simplifies application development by offering pre-configured, high performance, highly available Redis instances built on the same hardware stack that makes our MongoDB offering successful. Simple provisioning and administration, along with the ability to scale on demand makes it easy for developers to integrate our Redis platform into an application stack. Yes it is! Our Redis instances feature seamless automatic failover of the Redis master to a slave in the event of a master node failure. If you require something larger, please contact our sales team and we’ll be happy to discuss! Yes, of course! As long as the app doesn’t use the same keys in different areas, you’ll be fine. The major point here is to avoid data collision by trying to use the same key for different purposes. ObjectRocket for Redis is backed by Fanatical Support 24/7/365 to monitor and fix issues with customer instances or infrastructure, assist with data migrations, fine-tune Redis configurations, as well as any other issues you may have while using it. 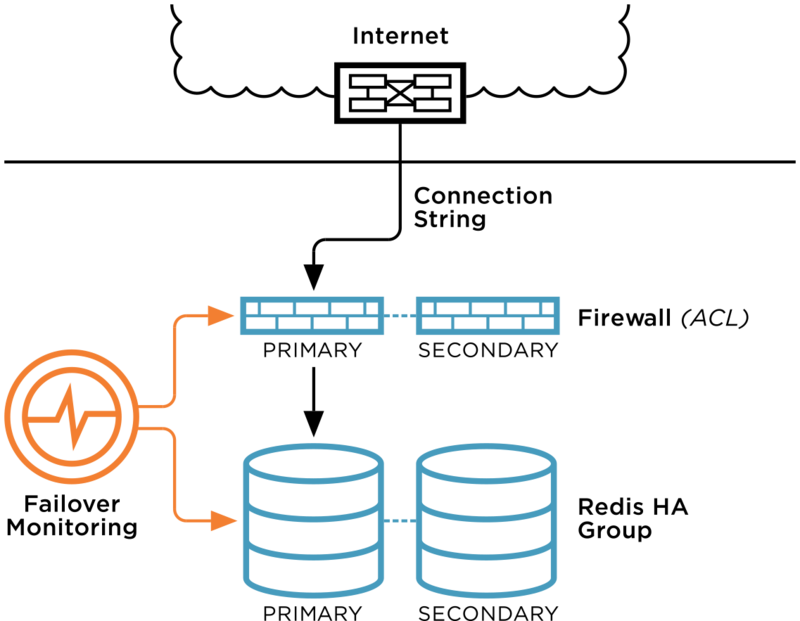 Our engineers also provide architecture advice and data structure best practices if you need help figuring out how to best leverage Redis in your app. We currently offer migration assistance to customers moving to a 20GB or larger instance, but please don’t hesitate to reach out to our support team! The offering is based on Redis 2.8.13 with Sentinel for high availability. All instances are Highly Available, and all instances persist to disk. Our Redis environment utilizes 2 node clusters and 3 Sentinels. One Redis node is master, one node is a slave. All services are containerized, which provides guaranteed resources (memory, CPU, disk I/O), prevents “noisy-neighbor” problems, and eliminates the performance bottlenecks of traditional hardware virtualization. The service runs on performance-optimized infrastructure to make Redis run as fast as possible. Users connecting from AWS will automatically use dedicated 10Gbit AWS Direct Connect circuits for very high throughput, low latency connectivity to ObjectRocket for Redis. As of 07/10/2015 ObjectRocket supports Redis 2.8.17. Contact our support team for help with other versions. No, we don’t feel it’s stable enough for production today, but we do have it on our roadmap! Yes, when you create a Redis instance you now get an SSL string that you can use to connect. You may need to configure stunnel to handle this due to Redis not handling SSL natively. You can check out our Redis STunnel page! Please refer to our Billing FAQ. If you have any other questions please don’t hesitate to reach out to our support team!